Deforestation and forest degradation continue despite considerable attention devoted to advancing sustainable forest management (SFM). There has simply not been sufficient change at the local level and, in many locations pressures on forest lands are increasing, says Dr. Pia Katila of the Finnish Forest Research Institute, the project coordinator. With that in mind, this volume systematically analyzes local- and regional-level initiatives from various parts of the world. It uses them to shed light on the conditions (and combinations of conditions) that enhance – or hinder – progress toward (SFM) and forest-related sustainable development at the local level. Influences that shape natural resource management originate at different scales, from local to global, and often originate in other economic or political sectors. That, in turn, calls for interdisciplinary approaches that focus on the diversity of issues and conditions that affect resource management on those different scales, Dr. Katila says. 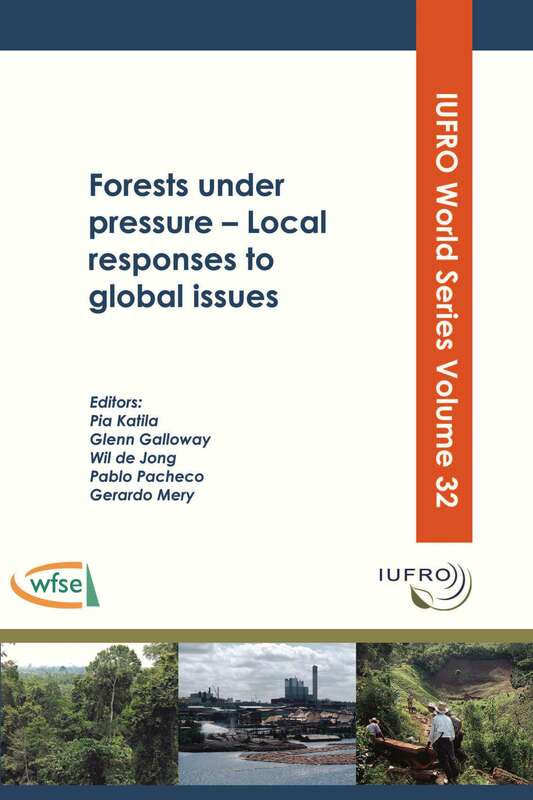 So the book reflects an effort to move toward a more integrated and holistic approach in analyzing the different conditions that influence forest resources management and, in particular, associated forest and livelihood outcomes. The book examines 27 local- and regional-level case studies from different parts of the world, presents a synthesis of the studies and the main findings derived from the cases, and discusses several of the issues in the context of future outlooks and scenarios. There is no single recipe for success, Dr. Katila says. A certain degree of flexibility is required to respond to varying situations in different contexts. But, in general the advancement of SFM requires attention to how effects originating from different scales interact and how these interactions influence local livelihoods and forest conditions. The main conclusions from the book emphasize the importance of synergistic policies and measures. One of the positive examples in the book in this respect is the case study from the state of Acre, Brazil. This case demonstrates how positive trends in livelihoods and forest conditions are supported by alignment of different sectoral policies and policy implementation. In Acre, comprehensive policy and regulatory reforms were supported by mobilizing resources, extension services, credit and links with agricultural policies, which led to reduced pressures on forests. And, Dr. Katila notes, unless more holistic approaches are implemented, deforestation and forest degradation will continue, leading to diminishing provision and availability of forest ecosystem services – such as timber, non-timber forest products, hydrological services and carbon sequestration.